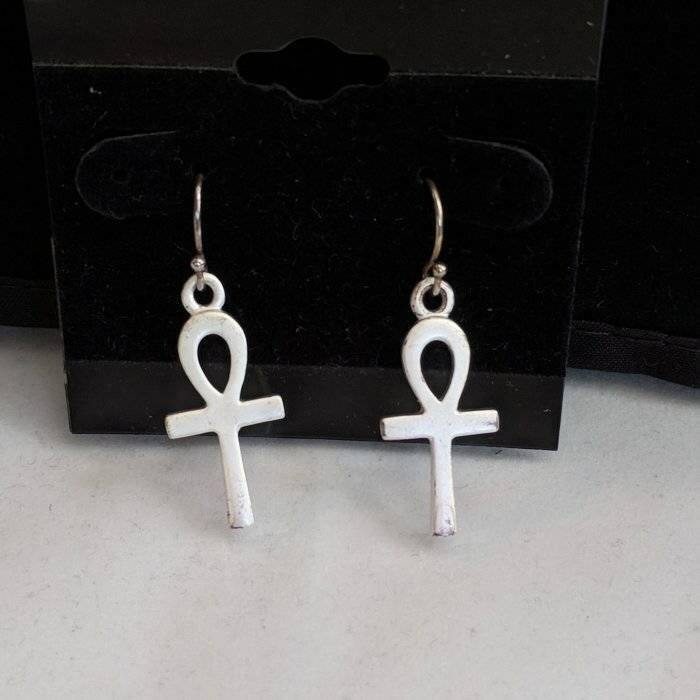 Height 1 3/4", Width 1/2"
The ankh is the hieroglyphic symbol for "life" in ancient Egyptian writing and represents divine or eternal existence. People wore amulets like this believing them to possess unusual powers. 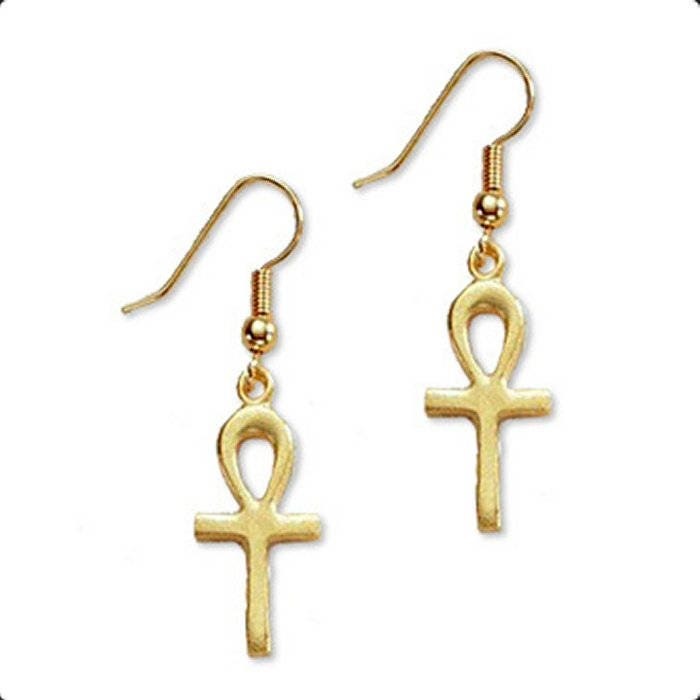 Egyptians placed amulets in the linen wrappings of mummies hoping to protect the dead and ensure eternal life.